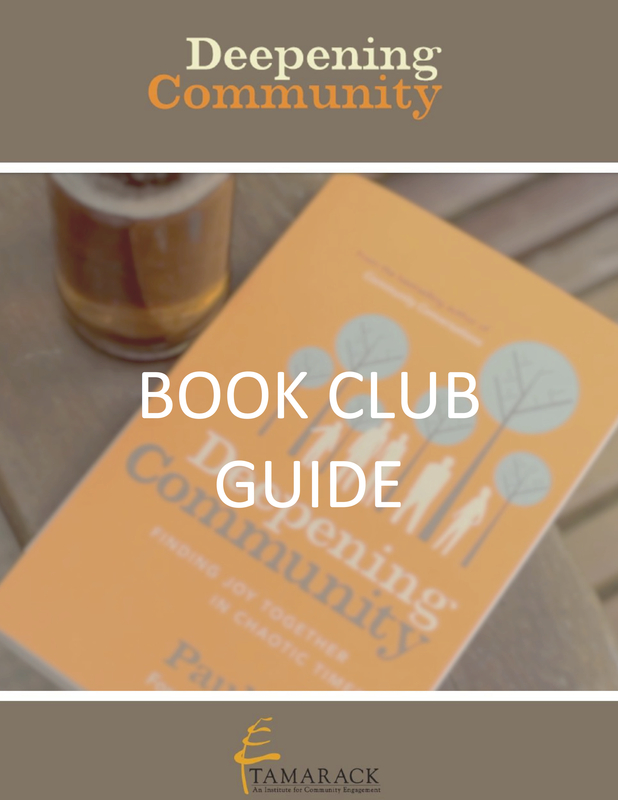 Though this book is filled with stories and opportunities for reflection, the book itself is a call to action: how can we deepen our sense of community… right now? We wanted to provide tools and resources to help you to share these ideas with your family, friends, neighbours, and colleagues. 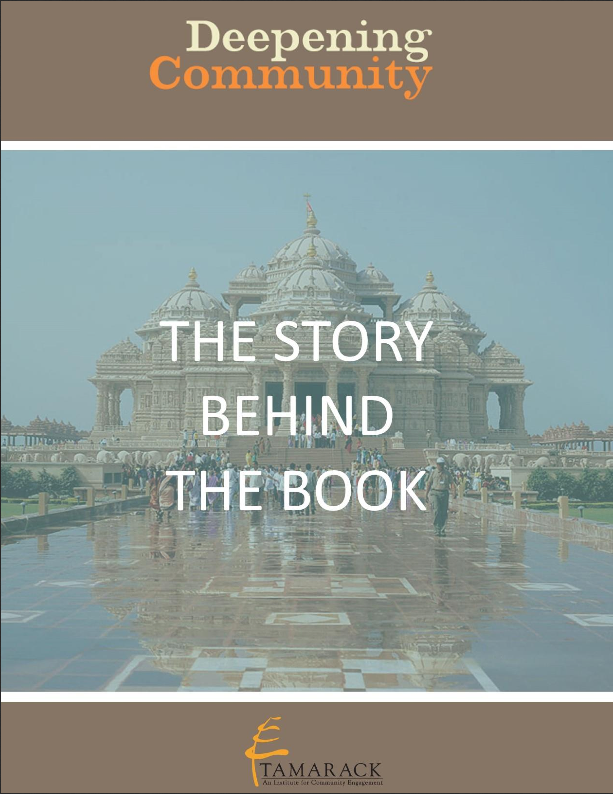 Paul shares the profound events that inspired him to write this book, to pursue a deepened sense of community in his life, and to encourage others to join him in making the world a better place. Read this book with others and then come together for some great conversations. Here are some topics and questions for discussion. Deepening Community was inspired by many people. 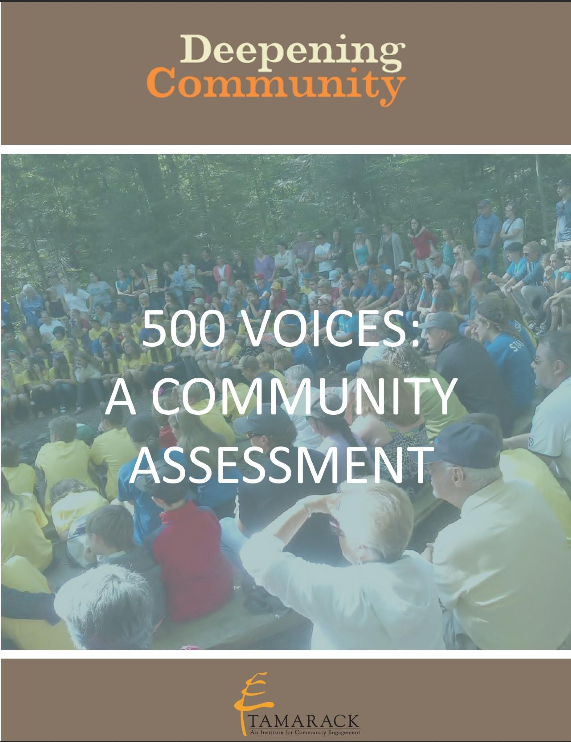 Explore the process and results of surveying 500 people about their thoughts and insights about community. Here are some fun activities that you can use for your own personal reflection or for group reflection and learning. 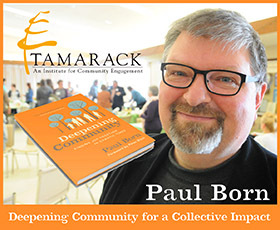 Paul Born discusses investing in community, whether it's worth the investment, being alone vs. lonely, and how to experience the joy of togetherness. 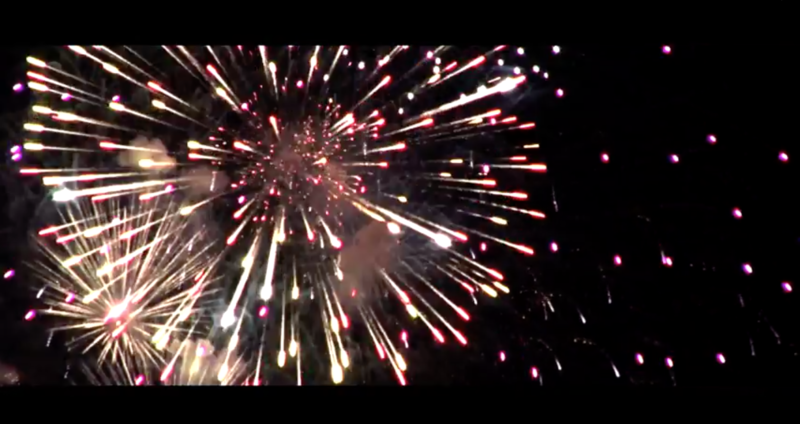 The May 24 long weekend marks the unofficial start to summer. It's a time when we connecting with family and friends is the goal of the weekend. But did you know that there are significant health benefits to spending time with your loved ones? 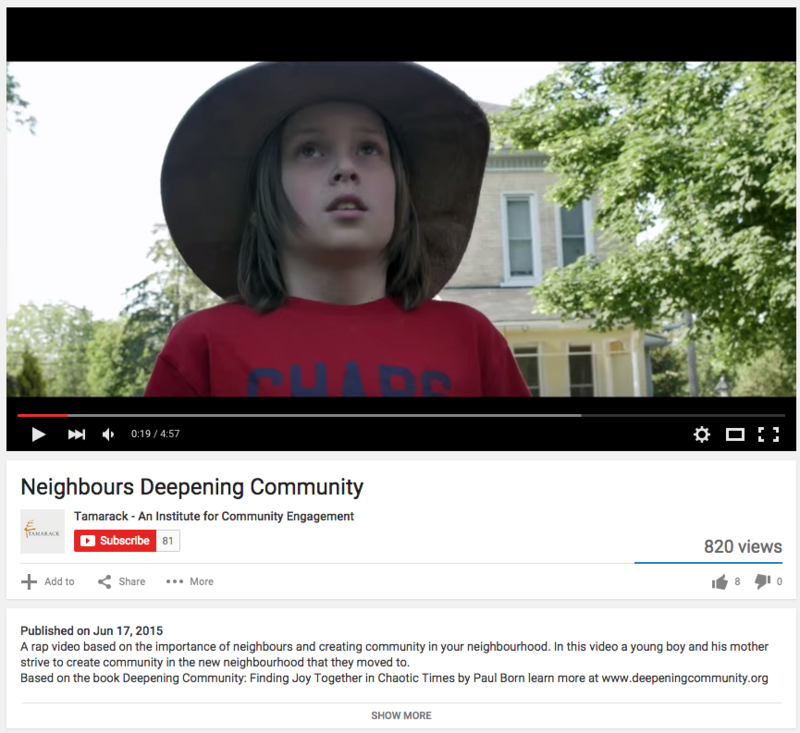 This beautiful 4 minute rap video entitled Neighbours Deepening Community was commissioned specifically for the Re-imaging Cities ~ Re-Engaging Citizens the 2015 Neighbours: Policies & Programs Gathering in Hamilton Ontario. Paul Born reads an excerpt from his book about how the act of bringing soup to your neighbour is the single most important thing people can do to make a difference in this world. 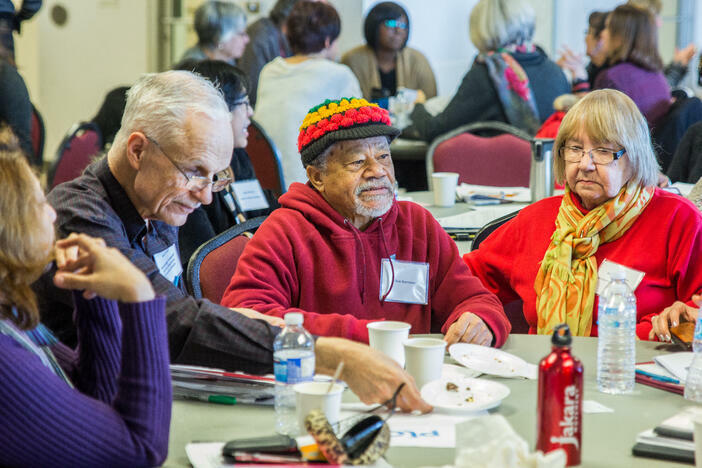 Learn how one community is using Deepening Community: Finding Joy in Chaotic Times to build a curriculum around engaging citizens as part of their Sustainability plan. 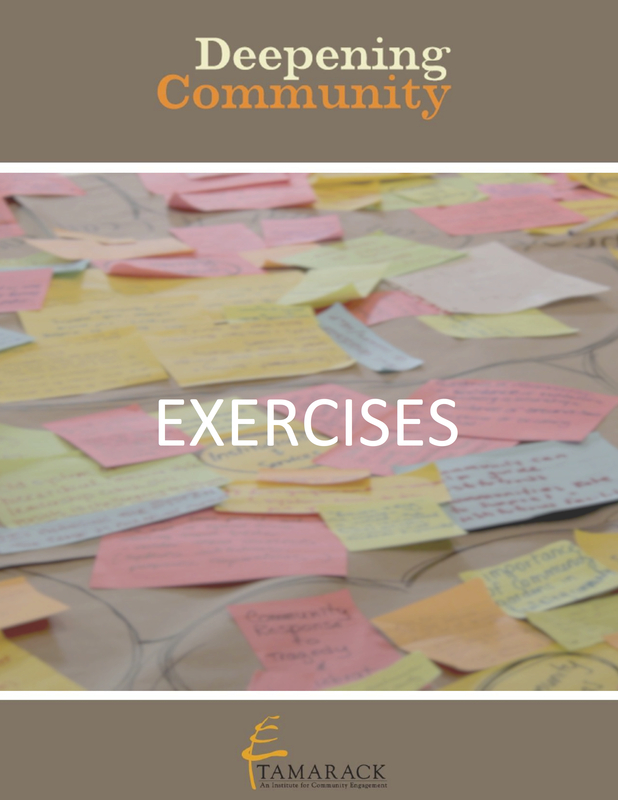 View the workshop slides from Paul Born's Deepening Community for a Collective Impact Tour in Australia and New Zealand. This group initiated an inspiring network that builds on Paul Born's idea that: deep communities -- the kind where you trust one another and share stories, spend time together regularly, commit mutual acts of caring that lead to strong bonds and greater collective resiliency -- are the kinds of communities that enable us to do the difficult work of building a better world together. 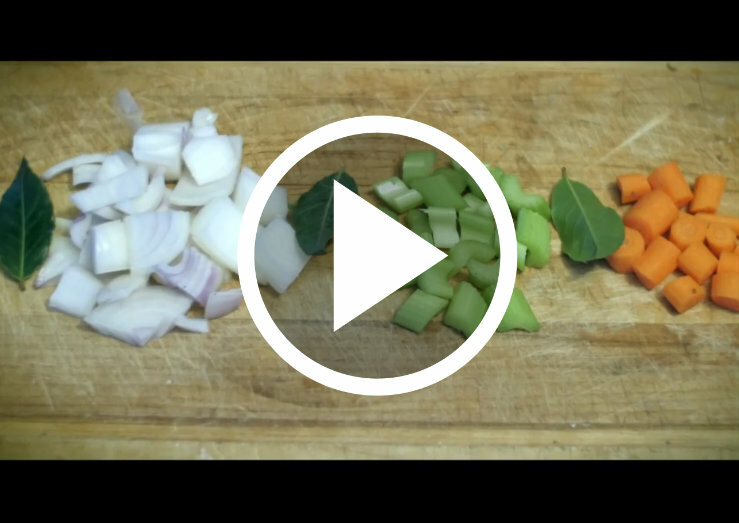 This very inspiring network is called "The Chicken Soup Friends."